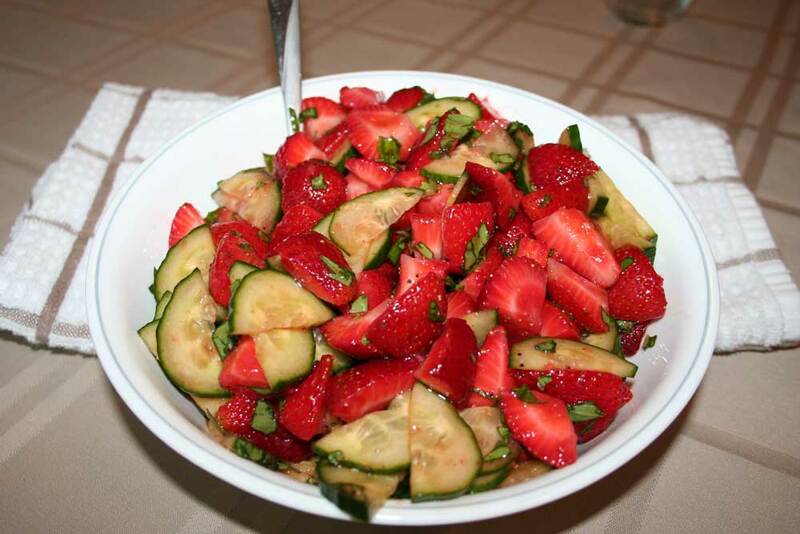 Combine strawberries, basil, and balsamic vinegar in a large bowl. Toss to gently coat. Cover and chill for 1 hour. Combine cucumbers and lemon juice. Toss to coat. Add cucumber mixture, salt and pepper to strawberry mixture. Toss gently to combine. Serve immediately.